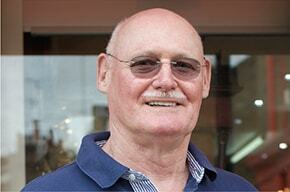 Our literary friends include the wonderful Reggie Nadelson, Maureen Lindley and Rose Elliott. 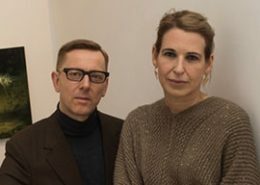 Friends on the art scene include Sophie Smallhorn, Lucille Dweck and local galleries The East West Gallery and Chelsea Galleries. 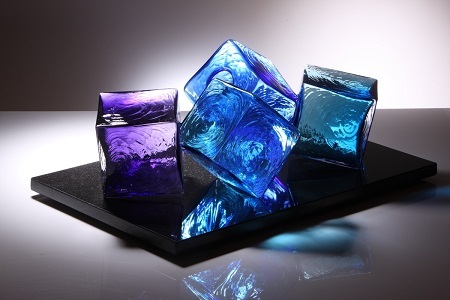 Vessel Gallery was founded in 1999 and specialises in contemporary glass art. From the stunning simplicity of Scandinavian crystal, via flamboyant Italian art glass, to the best British and International creative talents, all their pieces are unique. Serena Morton built and launched Serena Morton fine art gallery in Ladbroke Grove and followed this in November 2014 by opening a second gallery next door to focus purely on photography. 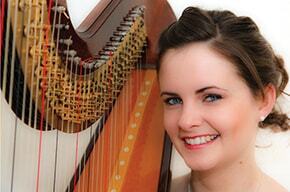 Bethan is a harpist who played at the launch of our North Kensington office. After four years’ undergraduate study at the Royal Welsh College, Bethan arrived in London to continue her studies at the Royal College of Music and forge a career. Looking as much like a fascinating museum as an antiques market, it is pretty hard to walk past Chelsey Galleries on Portobello Road without taking a peep at the wares of the 40 traders operating inside. 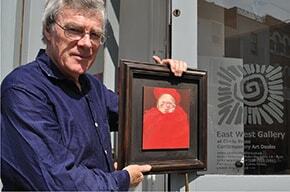 “We believe in our artists, they’re our lifeblood.” East West Gallery owner, Jill Morgan and her husband David Solomon have lived in Notting Hill for more than 20 years and are fiercely loyal to the area, selling work from a stable of over 20 local artists. 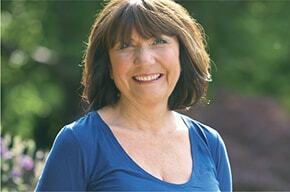 Maureen Lindley, one of our landlords is a fantastic author who has published several novels. Set in 1940s California her second novel, ‘A Girl like You’ tells the story of Satomi, a girl whose life is turned upside down with the outbreak of war. When Anda Winters says it took “quite a long time” to convert The Print Room into a functional theatre, it’s something of an understatement. 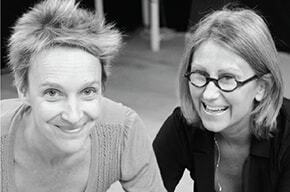 With fellow-artistic director Lucy Bailey, she spent three years renovating the building which stood empty for 15 years. 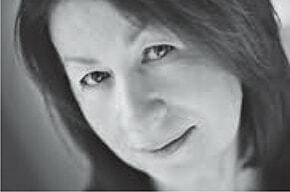 Rose Elliot MBE has carved out a reputation as Britain’s foremost vegetarian cookery writer. She has written over 60 books and pioneered the hugely successful Guardian Weekend vegetarian column. Not only is she our neighbour and owner of St Helen’s Deli but Sarah Rowden is also an author! 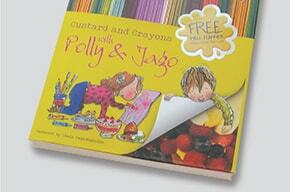 Along with co-author and friend Jo Vestey she has created magical children’s book ‘Custard and Crayons with Jago and Polly’. Sophie Smallhorn is a local artist who describes herself as a ‘colourist’ rather than traditional artist or sculptor. 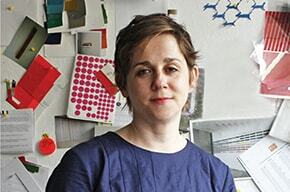 She is best known for her public space commissions; her most famous project to date was the wrap around the London 2012 Olympic stadium. 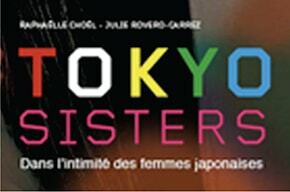 Sisters are doing it for themselves, as journalist Raphaelle Choel and her colleague Julie Rovero-Carrez discovered when they carried out hundreds of interviews over several years with Japanese women in France for their recently released book Tokyo Sisters. 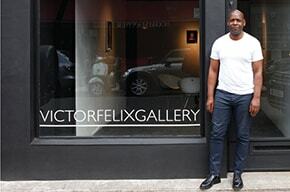 Victor Felix Gallery is a newcomer to the Notting Hill art scene, opening in April 2013 on Hereford Road. The gallery represents an idiosyncratic view of contemporary figurative art from a very varied group of artists who use traditional skills and methods. Gareth Malone has a lot to answer but it’s all good, as his TV series have inspired thousands to find their voice. 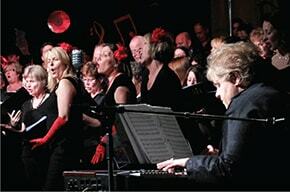 MJ Parazino, Head of the West London Choir in Notting Hill is amazed at its popularity. It’s easy to join the choir, simply show up and sing.